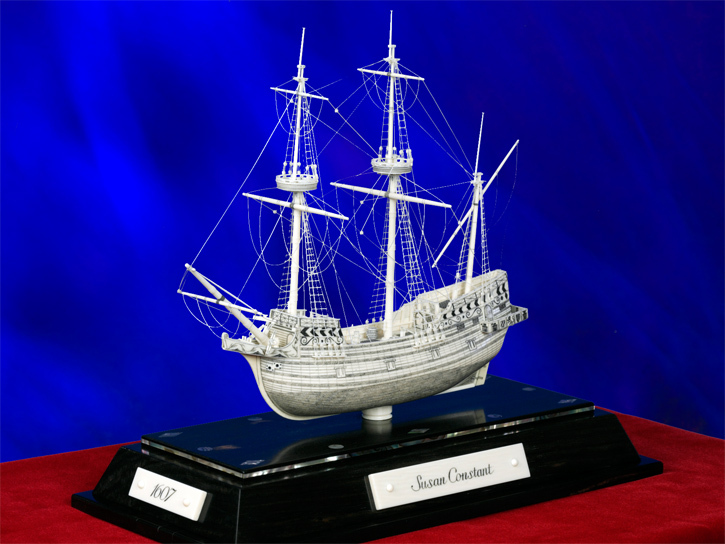 Port view of Susan Constant. 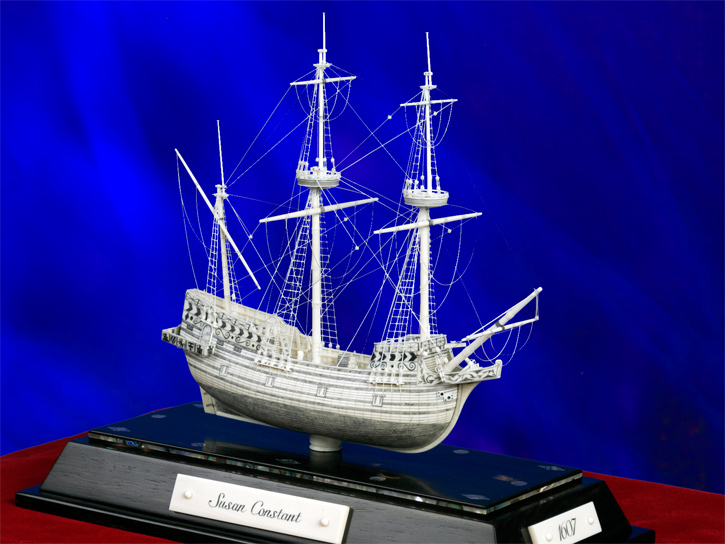 Starboard profile of Susan Constant. 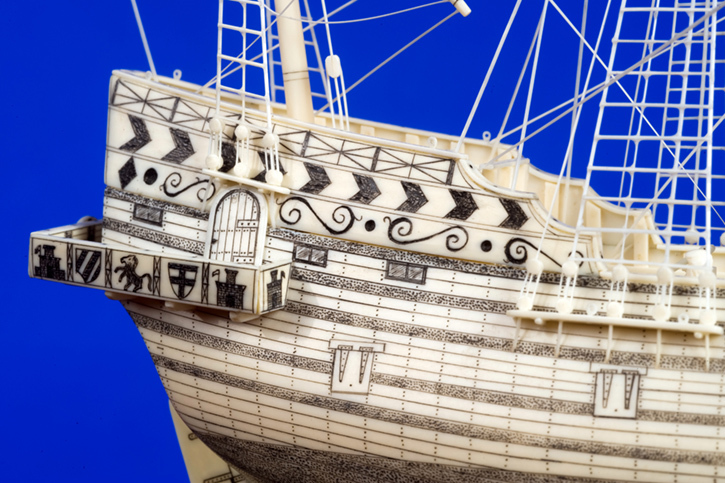 This ship brought the first settlers to Jamestown Virginia in 1607. 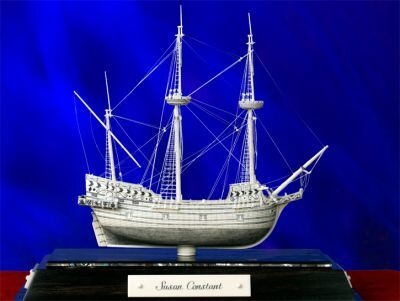 Sailing from England with two smaller ships, Susan Constant brought the men, women, and supplies to establish the first permanent English speaking settlement in North America. 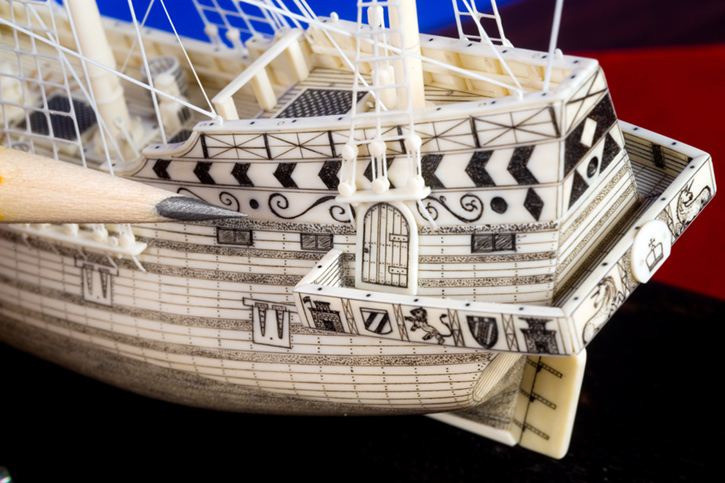 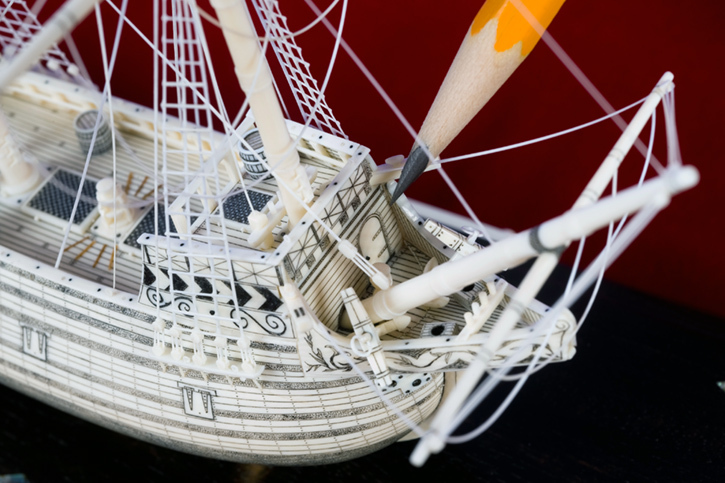 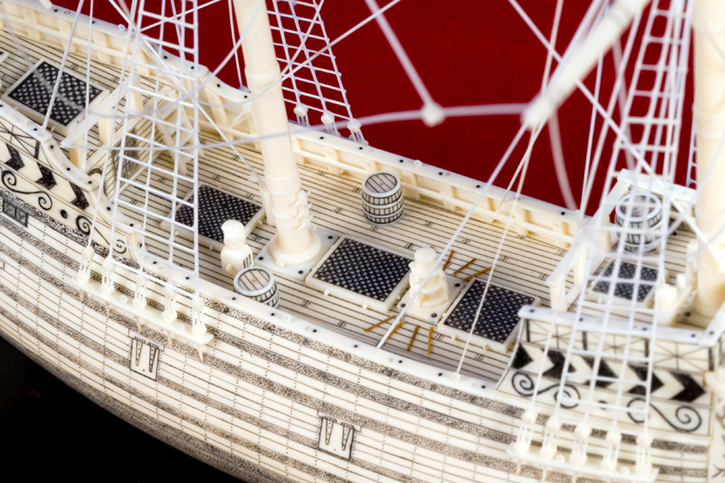 The decorations on the exterior of the hull were painted on the ship and have been recreated on the carving by scrimshawing- the art of ivory engraving. 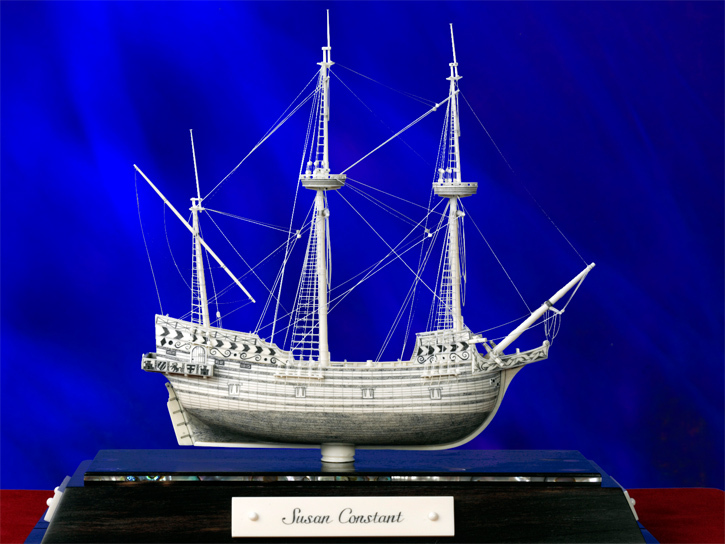 Plans and information provided by maritime historian Brian Lavery, The Naval Institute Press, and the Jamestown Foundation.